Grant and I don’t race our bikes, but we simply love riding and to get the most out of our year, especially our summer trip to the mountains of Europe, we use TORQ Fitness for our training. So I thought I’d write a little about this, to dispel any myths that training plans or coaching are only for those who compete. You may be familiar with the brand from their superb range of energy and recovery products. However, TORQ first started out in 1999, set up by Director Matt Hart as a fitness and coaching consultancy, with the nutritional products coming a little later in 2002. Since that first visit, we’ve returned every Autumn, to carry out a test, in preparation for the following year’s training plan. We generally run our plan from January to June, our main objective being three weeks cycling in the mountains. So let me tell you more about our fitness testing experience. Since we came back from our trip to Italy, we’ve crammed in some great riding at weekends. Over the last few days I’ve started to feel pretty shattered, but when I recounted the rides we’d done in the six weeks since Italy, I realised why!! In that six week period we’d done three Lake District rides, including the leg-grinder six-pass loop, two century rides (one hilly and one one super-hilly in the Peak District). We nearly always ride both Saturday and Sunday, so on our non-hilly day, there would still be an endurance ride. I love the days out, when we pack up our bikes and kit, load up the car (that’s Grant’s job, I look after the catering! ), and head out to the Lake District or Peak District. But all the early starts had caught up with me, and so we decided to grab a lie-in and ride from home this weekend. Our ride took us out through Barlaston, across to Moddershall, Wetley Rocks, then onto Meerbrook, where the steep climbs begin. We climbed up Roche Grange which is super steep, then onto the top of the beautiful, heather-strewn Roaches. 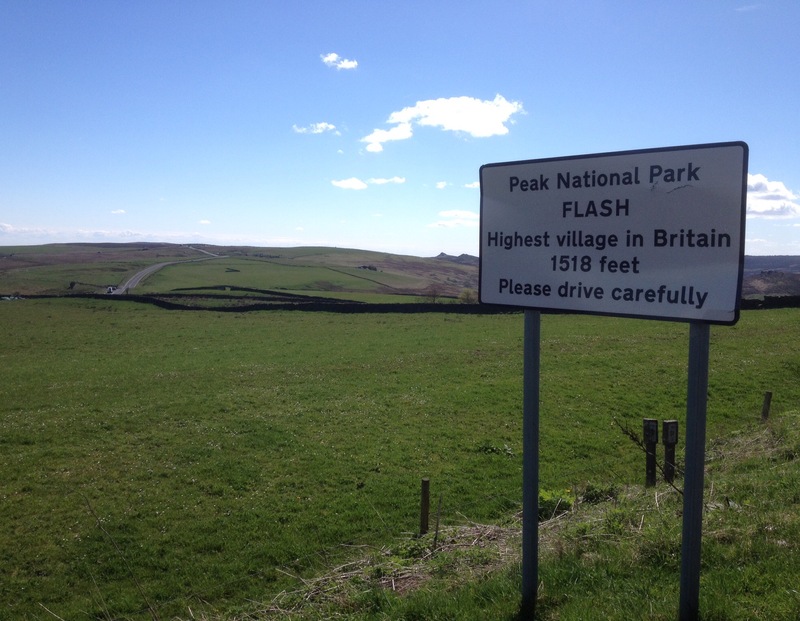 The next toughie is the narrow, winding road up to Flash, the highest village in England. There is a defibrillator on the wall of the pub at the top, this always makes me smile…..is it there for the huffing and puffing cyclists?! I’m not making jest of this, it’s great that such things are on hand in isolated, rural areas.